“The first thing that struck me was the bonhomie of the farm-hand. The natural heartiness of disposition so characteristic of the agricultural labourer was evident in every sphere of his activity. Another thing that was a constant matter of surprise to me was his powers of endurance. Probably, none but one who has been bred up to it from his infancy, could stick it. The length of hours, the duration of the cold season, the absence of holidays, and, in some cases, the insecurity of his service, tend to make agricultural work one of the most unpleasant occupations. After an experience of six weeks’ actual work on the farm, I have come to the conclusion that the hours are too long, and that there are too few intervals for rest, in hoeing, and twitching. I go even so far as to say that if the hours were shortened, the same amount of work would be done. It is no secret to the farmers that the men are obliged to ‘take it easy’ at times. I cannot blame them … Much nonsense has been talked about the women on the farm. I think that the life on the farm is not so easy as some of them think. The woman is not suited for it, simply because she has not the stamina and the strength to sustain a work of that nature. The experiences of some of the women working on the farm have not left a pleasant impression upon my mind, and the testimony of the farm hands upon this topic is conclusive. Sunday 24th September 1916: Every night this week, and at matinees on Thursday and Saturday, the official pictures of the Battle of the Somme are being shown at the Victoria Picture Palace in Leighton Buzzard. The battle has now been raging for nearly three months, and news of local casualties continues to be received. These include three former Leighton men who emigrated to Canada before the war. Private Hayward Luck, whose parents have now moved from Leighton to Hendon, was serving in France with the Canadian Forces when he was killed by a shell as he emerged from a dug-out on 9th September. Another former Leightonian, Lance-Corporal E. Woodman, the son of Mr and Mrs Veere Woodman of Lake Street, was more fortunate than his compatriot and is recovering in hospital at Whalley, Lancashire, from a shrapnel wound to his left hand. Lance-Corporal Woodman had been in Canada for about six years before joining the Vancouver Regiment in October 1914. He was sent to France in November 1915 and had previously come through much fierce fighting unscathed. “I am a little weak, otherwise I am all right. If you have been notified that I was killed, it is a mistake. We had a hot time and took some trenches, and I was slightly wounded in the shoulder by a piece of half-spent shrapnel. If it had hit me with full force, no doubt I should have ‘gone west’. I was sent to an English hospital instead of a Canadian, and so I was down as missing. We made a fine charge – couldn’t hold the boys back, and I happened to be in the first wave over the parapet, getting hit in the enemy’s second line. We had lots of cigars from Fritz’s dug-outs, and sure he lives high over this way”. 21 September 1916: Bedford is treated to a bi-plane display over the High Street, which ends in a dramatic landing at Bedford Grammer School. The bi-plane was flown by Lieutenant E. J. Grevelink, who left Bedford Grammar School in 1911 and looked to make his landing in his school playing fields. However, the young airman found the playing fields so thickly dotted with goal posts, he was unable to land. Twice he circled the school and then ascended again doing the loop-the loop. Then he was plagued with engine trouble and forced to make a go of the landing, passing over the chimneys in North Hartlington and Gladstone streets and landing inside the field near the Clarendon Road gates. After alighting and attending to his engine, he left for home to visit his parents, leaving his fellow flying pupil in charge. Local residents and schoolboys flocked to see the aircraft until the civil and military police cleared the ground. Getting out of the field proved even more difficult than getting in, and two goal posts had to be removed for the run across the ground. However, just as Lieutenant Grevelink made the ascent his plane caught the fence posts on the edge of the field and he was forced to come back down to earth with a bump. Lieutenant Grevelink was unhurt in this incident and had joined the Royal Flying Corps only two months previously. Wednesday 20th September 1916: In the early hours of this morning Luton suffered a devastating fire at the Diamond Foundry, the premises of the Davis Gas Stove Co. Ltd, the second major fire in Bedfordshire within a week. Buildings covering an area of about two acres were burnt to the ground, destroying about half the works, with damage amounting to many thousands of pounds. It is thought that the fire begin at the centre of the range of buildings nearest to the town, in either the gas testing shop or the large stores. The night watchman saw nothing on his round at 2.30am, but by soon after 3.00am it was apparent that the fire had caught hold. 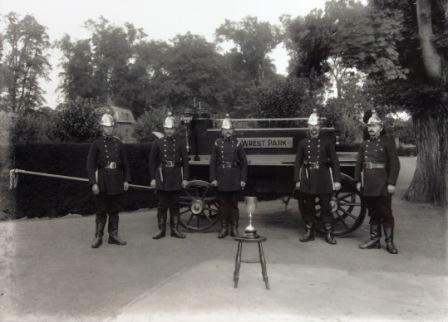 The members of the works fire brigade are equipped with automatic bells in their bedrooms, and these together with the big works bell soon spread the alarm. Although the works brigade soon had water trained on the fire it had too great a hold. Unfortunately the Fire Station were already dealing with a small fire in Lansdowne Road. A motor engine was dispatched to the Foundry with all possible speed, but by this time the whole range of buildings were a mass of flame, with strong winds threatening to spread the fire. “I have hardly seen anything like it,” said Second Officer Andrew, “we simply had to fight our way through sparks”. Thanks to the large amount of water poured onto the site the fire was prevented from spreading to houses in Dallow Road and Clifton Road. Large amounts of wood in the buildings fuelled the flames, and many of the roofs fell in. The greatest danger came from the petrol and benzene store between the burning buildings and the adjacent houses. The firemen won the fight to keep the flames from reaching this area and the petrol store was saved. Second Officer Andrew said “By dint of cussed hard work we managed to stop the fire extending to the whole works, but, as it was, thousands of pounds damage has been done. The thing that surprises me is that there is any Diamond Foundry left!” The Fire Brigade are still in attendance and smoke continues to rise from the smouldering debris. The owner Mr. Davis paid tribute to the fire brigades and told the press: “It is difficult as yet to know the results of the salvage. The stores are gutted, and the fitting shops are down. Yes, we are fully insured. If the wind had been blowing more to the south the fire would certainly have carried the whole works. We were lucky to save a big warehouse, in which lie tons and tons of material”. He anticipates that most of the men will be able to continue to work in the remaining part of the foundry, but that around 200 women are likely to lose their jobs until they are able to rebuild. Sunday 17th September 1916: The tragic news has been received at Luton Hoo that Lieutenant Alexander Wernher, the youngest son of Lady Wernher has been killed in France. 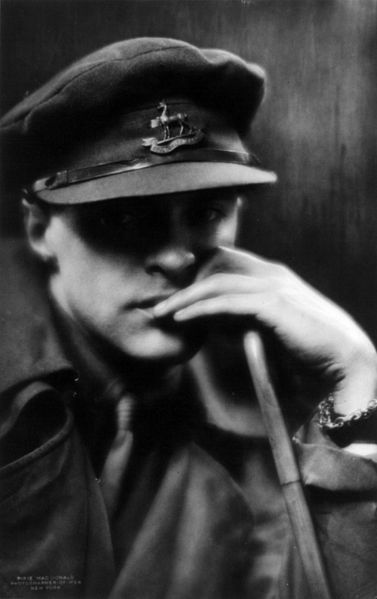 “Alec” Wernher had been at Eton when the war broke out, and immediately volunteered for service. He was granted a commission in the 2/1 Royal Bucks Hussars in November 1914 when he was just 17 years old. We heard atthe beginning of the year that he had left for Africa on the staff of General Sir Horace Smith-Dorrien. 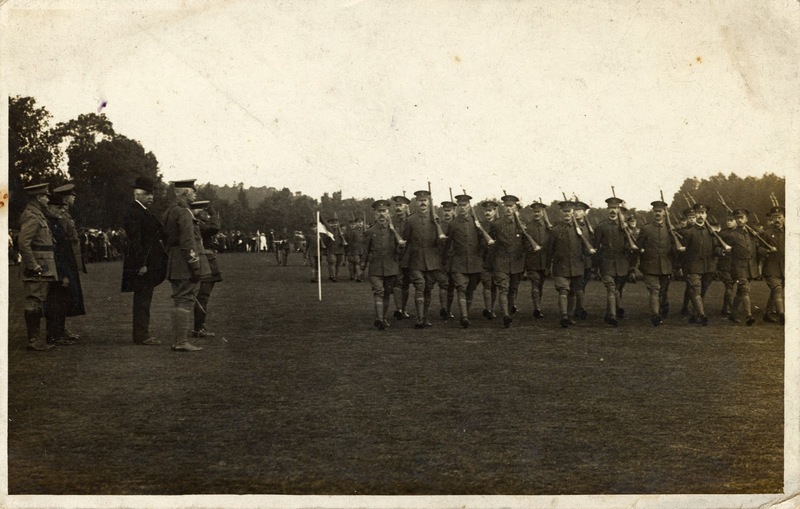 The General fell ill and Lieutenant Wernher returned home to England with him; in his anxiety to see active service he transferred to the Welsh Guards, and he arrived at the Front on 17th July. During the seven weeks he spent in France Lieutenant Wernher proved himself “brave to the last degree” and won the confidence of his men through his willingness to share discomfort and danger. On September 10th he was wounded in the leg; while being carried from the field of battle he received a second and fatal wound. Alec Wernher’s brother Harold is also serving in France, only five miles from where the young man was killed, and had seen Alec just a week before his death. The Mayor of Luton has sent a message of condolence and sympathy to Lady Wernher on behalf of the Corporation and the town. Friday 15th September 1916: Fire broke out yesterday evening in the mansion at Wrest Park, which has been in use as a hospital for wounded soldiers for the last two years. . The weekly fire drill which has been the rule at the hospital proved its worth and thanks to the prompt actions of the nursing staff who evacuated the patients coolly and efficiently there were no casualties. Tea had been over for about an hour and a half and many of the patients were playing games of tennis, billiards and bowls when the fire broke out at around six o’clock. There were also many patients in bad as sixty more soldiers had arrived only a few days ago. These “cot cases” were in the wards formed from the original dining rooms and libraries running through the centre of the house. The fire started in the chimney of a bedroom next to the roof. 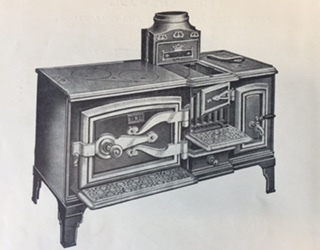 The chimney is connected with the main boiler which is believed to have been defective. Sparks ignited the old timbers, causing the blaze to run along the inside of the roof towards the centre dome. Nine rooms on the east side, five at the front, and four to the left of the stairs were affected by the fire, with five or six of these completely gutted. The roof fell in, and part of the lead and zinc dome melted. Where possible the rooms had been stripped of furniture and ornaments, but the carpets could not be saved and considerable water damage was done to most parts of the building. Today Wrest is a scene of confusion, with furniture, bedding, paintings, statues and other articles lying all over the place. Marquees and tents have been set up to store the more valuable books and articles. Fortunately family heirlooms and the most valuable paintings were stored in a strong room which was well away from the fire. Thursday 14th September 1916: This afternoon’s meeting of the Linslade Military Service Tribunal saw a discussion about the difficulty of finding labour, especially for farms. 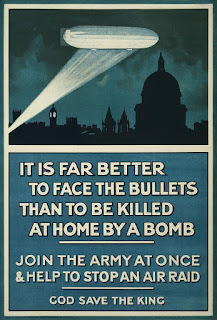 The Tribunal was informed by Captain Green, the recruiting organiser for Buckinghamshire, that the War Office is now asking for another million men by next July, which will undoubtedly worsen the situation. One member of the tribunal expressed surprise that farmers did not make more use of soldiers as labour, though another said he had heard they were more trouble than they were worth. 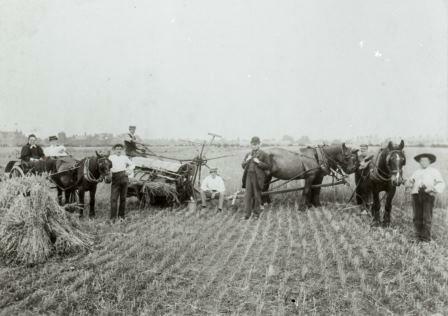 Farmers felt they could not push them the way they pushed their own men, feeling “they must be nice to them and give them a sort of picnic” – this caused amusement, as did the comment that this was “like the women workers”. The military representative said that women had done “splendidly” in some places, but that in this area farmers were not used to them and it was difficult to change local custom. Captain Green told the tribunal of a new scheme for replacing fit men with men who had previously worked on farms and were only doing duty in labour battalions. 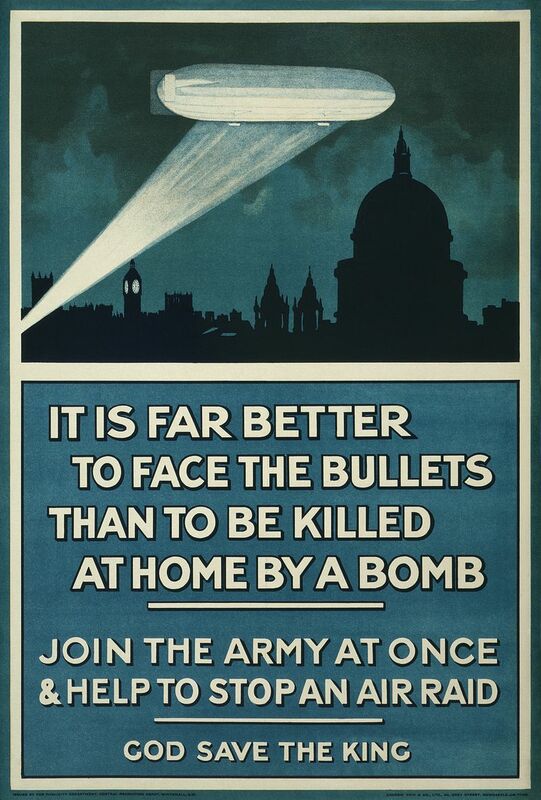 This would then release men who were fit for general service. The Chairman thought this a good idea, but one that would be hard to make work. 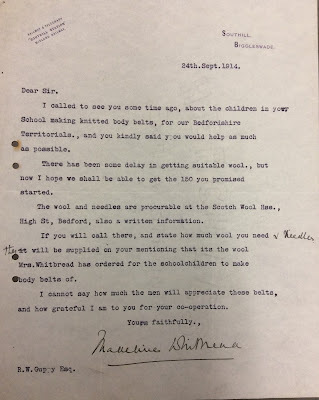 Captain Green said a list of men who could be demobilised from the Army would be sent to the tribunal and they could then be sent back to their original work as clearly “it would be useless to send a chair maker to milk a cow”. When asked whether there really were many men in the area who were eligible for service Captain Green stated that a nearby tribunal had dealt with seventy single men who could not be released for the military because they were the only men left. However, it was felt that this was more likely to be the case in rural rather than urban districts, where very few men were now available. This, it seemed, was the root of the problem. All the men who could be called up had now gone, and it would be necessary to turn to exempted men. A Commission was already sitting to decide what industries must be closed down. 12 September 1916: A deputation of master butchers appeared at a Bedford Borough tribunal to defend the necessity of keeping men in the trade. The tribunal were of the opinion that there were a number of young men engaged in the butchering trade who could enlist in the Army. The tribunal thought that the butchers could work together in order to release men for the fighting line. 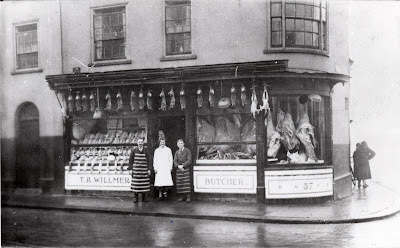 Alderman H C Dunham, acted on behalf of the butchers association, explained that slaughtermen were of the utmost importance and not one butcher in Bedford employed a man for slaughtering only. Slaughtermen, he reported, were now employed in more general work, such as carrying carcasses to the shop and making-up goods like sausages. He argued that those men currently in the trade were absolutely necessary and the work was not suitable for women. Additionally, the price of meat was so high that it was crucial to have competent people to prepare it. In response to questions put to them, the deputation of master butchers estimated that there were between 40 and 60 butchers in Bedford. 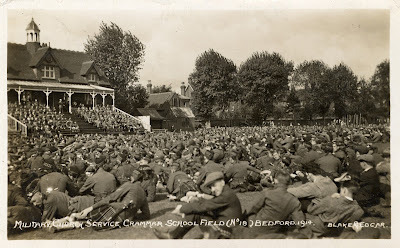 8 September 1916: A well-attended meeting at Park Road, Bedford, was held last night for the purpose of recruiting men for the Volunteers battalion. The meeting was chaired by the Mayor and a parade of existing Volunteers took place. 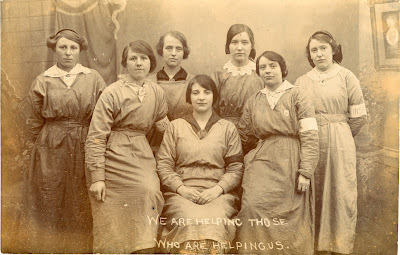 The Mayor emphasised the need to take seriously the Volunteer movement as one of national importance, since the object of the Volunteer movement was to release men of the Regular Army for more important service. There were cheers when it was pointed out that local Volunteers had also been of great service in Bedford, guarding the waterworks and thus saving local ratepayers money. Men in the Volunteer movement had one drill per week and were not expected to contribute to the battalion funds. Thursday 7th September 1916: A garden fete was held today at ‘Harcourt’ in Linslade to raise funds for the Leighton War Hospital Supply Depot. 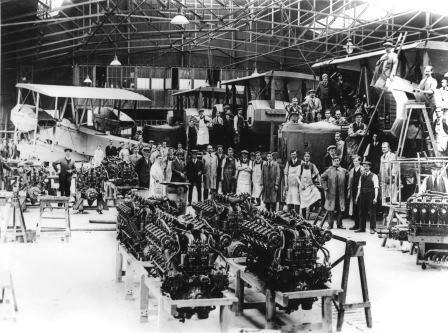 The workers at the depot have been hard at work supplying war orders for the past six months, and have even subscribed towards the cost of materials. Sir Edward Oswald Every kindly allowed the use of his grounds for the stalls and attractions. By 6pm over a thousand people had paid for admission with the lucky five hundredth entrant, Trooper Frank Conquest of Soulbury, winning a watch. The success of the fete was helped by the fine weather. There was an extensive programme of events. A particularly popular feature was a sketching exhibition by artist Captain Bruce Bairnsfather, famous for his humourous cartoons of trench life; three sketches were donated to be auctioned or raffled in aid of the Supply Depot fund. Other attractions included performances by Lieutenant Brent Smith, a well-known pianist, and Australian soprano Miss Thelma Peterson, a demonstration of bird whistling by a Belgian Army officer, and war stories from Mr. W. V. Robinson, a Canadian entertainer. In the evening there was entertainment from the Dunstable Dazzlers, and the band of the Royal Engineers played during the afternoon and evening. Stalls included a jam stall, a soldiers’ comforts stall, fruit and flowers, an art stall with sketches and hand painted postcards, and a depot stall which displayed some of the articles made at the depot such as bandages, jackets, slippers, bed rests and crutches. A variety of competitions were held, ranging from assegai throwing to identifying photographs of celebrities, along with the more usual coconut shies and hoop-la. Children enjoyed pony and donkey rides, a sweet stall, a roulette game in which everyone received a prize, and rides in a goat chaise. 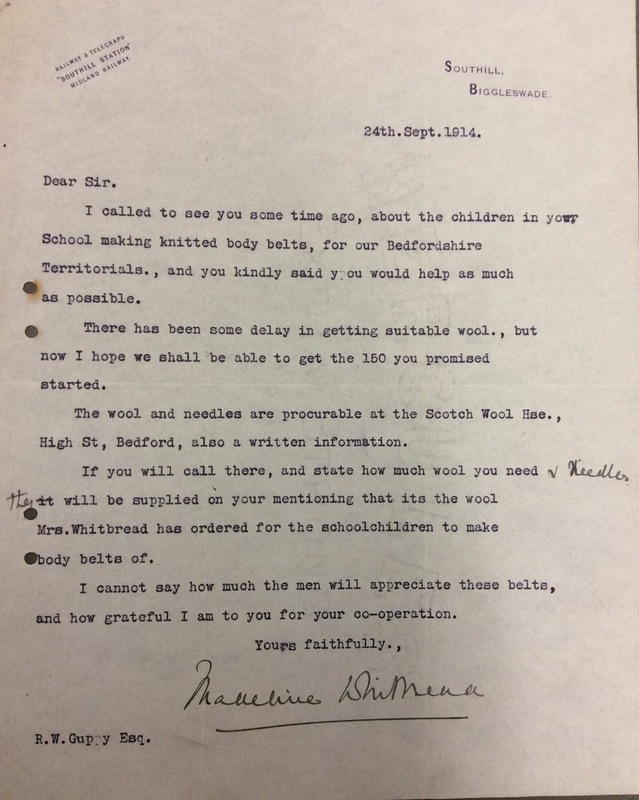 During the evening an auction gift sale raised around £45 from 86 lots, with 70 shillings paid for one fat sheep. Other items for sale included an umbrella stand, a violin, grapes, tennis balls, a fox skin muff and some guinea pigs. Wednesday 6th September 1916: William Northcliffe, a travelling music hall artiste from Blackpool, has appeared at Luton Borough Court charged with being an absentee under the Military Service Act. 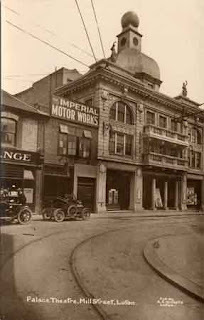 Captain Alston of the Recruiting Office visited the Palace Theatre last night together with a police inspector, and had asked the manager to show him behind the scenes to see if any men of military age were performing. They had found Mr. Northcliffe who produced his registration card and said he was aged 38. When asked whether he had an exemption certificate he said he had not. He said that he had never received a conscription notice, and that he did not realise he was obliged to respond to the proclamation calling up men of military age. The magistrates decided that Mr. Northcliffe should be handed over to the military authorities, but that no fine would be imposed. 3 September 1916: A number of Bedford people witness a huge glare from the southern sky when a zeppelin falls nearly forty miles away at Cuffley, near Enfield. One London newspaper reported that the blazing mass resembled a glorious sunset. 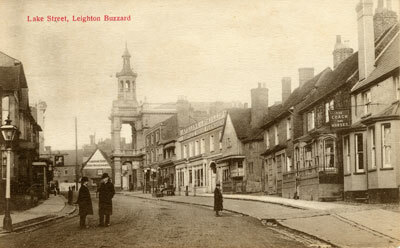 Official news of the destruction of the zeppelin is received at 5.45pm in Bedford and the news is posted outside the Bedfordshire Standard’s High Street offices.